I wrote this piece with a measure of immense pride. There is no one that will not feel this kind of pride if such a person has the kind of attachment that I have to the great University of Ibadan. This is where I was taught and where I caught my theoretical teeth as a budding intellectual under the seasoned tutelage of some of the brightest and the best minds that political science scholarship has ever known in Nigeria. UI is a place that I found very difficult to part with since I arrived here, as a greenhorn ‘bloody Jambite’ 37. For most of us at that time, as for most of those who preceded us here, the University of Ibadan was the university. There just was no other conceivable alternative to it. You were either an undergraduate here, or nowhere else. In fact, it was something of a social status to be admitted into the hallowed grounds of this university. And I was one of those privileged few then who had the good fortune of coming here to learn under the feet of those who made UI a great citadel of intellectual activities. 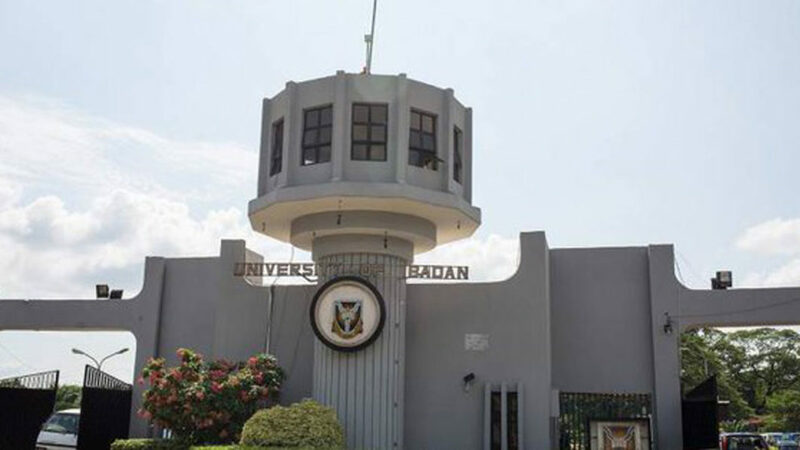 The University of Ibadan has reached a milestone since it was established 70 years ago. And since its establishment, it has come to be a singular template by which higher education performance in Nigeria is assessed. Those were very heady years when I was part of the large population of optimism that was here learning and brimming with hope for Nigeria. For us then, there were only two universities in Nigeria: the University of Ibadan and others. I am not sure that sentiment has changed. And we had good reason to be optimistic. This is the hallowed citadel where those who have gone on to impact Nigeria had trodden—from Chinua Achebe, Wole Soyinka, Christopher Okigbo, Bola Ige, Akin Mabogunje, Grace Alele-Williams, Tekena Tamuno, Emeka Anyaoku, Wande Abimbola, Tam David-West, Gamaliel Onosode, Clement Isong, Claude Ake, Olu Falae, down to Pai Obanya, Michael Omolewa, Adiele Afigbo, J. P. Clark, W. F. Kumuyi, Mabel Segun, Ahmadu Alli, Abiola Irele, Iya Abubakar, Jibril Aminu, Niyi Osundare, Godwin Obaseki, and the list goes on and on. The University of Ibadan has been central, for instance, to the configuration of the literary template of the Nigerian state. Ibadan was the first marker of Nigeria’s literary creativity before the location shifted to Lagos. From then till now has been a long journey of continuous growth and progress in the midst of historical hiccups, administrative circumstances and academic palaver. This is no mere university. It was the first and it remains the best! And I am very proud to be here as one of the many generations of those who have been molded by the intellectual flowering of this great institution. 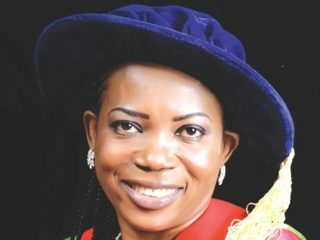 In this article, I want to use the opportunity of this momentous celebration to reflect on the status of the University of Ibadan as an archetypal postcolonial university with a deep burden of national responsibility. To be designated a ‘postcolonial university’ immediately signals a huge difference from what the university has come to mean. In historical trajectory, the university emerged within the cauldron of historical circumstances. Like every other institution in the society, the university was a response to the perceived need for equilibrium, order, development and progress. It is indeed very significant that the Greeks saw the requisite relationship between the proto-university, like Plato’s Academy and Aristotle’s Lyceum, and the search for wisdom. Philosophy was a big deal for the Greeks! Their agora, or the marketplace, was a usual place for vociferous arguments about the fundamental issues about life, existence and social harmony. The free Greek males gathered together all the time to debate politics, war, ethics, cosmology, the gods and goddesses on Olympus and the state of the city-states. We are all familiar with the very stature of Socrates as one intrepid philosopher who was very concerned with applying the famous, and even notorious, Socratic interlocution to every item that reflection could focus on, from justice to piety, and the nature of the state or of the human society. Plato was also so much like his teacher, Socrates. The Republic is a masterpiece of serious and critical philosophical reflection on the metaphysical, political, psychological and social foundation of the human society and how it could be run according to the principle of justice. It is indeed a long way from the Greek and ancient understanding of the university to our contemporary understanding of its fundamental essence. The watershed for this understanding was the 13th century that marked a critical intersection between the medieval definition of the university and the emergence of modernity. It was the medieval period that gave it the general meaning of the universitas, a body or association of teachers and students gathered together, by collective legal rights, and deriving from either a king or the town where these guilds or corporations came from. After the 13th century, and with the commencement of the Renaissance in 17th century, there was a paradigm shift in the understanding of the medieval universities to an autonomous degree-awarding institution offering tuition in non-vocational subjects and in fat all knowledge. Of course, it is common knowledge now that the earliest universities predated the medieval European universities. And these were founded in Africa. But what defined them all: they were founded by sociological and socioeconomic necessities. The idea of the university responded to a unique sociological need of human beings to make sense of their environment with innovativeness and learning. This is to say that the university system did not evolve in a vacuum. The implication is therefore that it has a responsibility to respond to the variables and factors that gave birth to it. For instance, the University of Al Quaraouiyine, founded in Morocco in 859, as well as many others, were also established particularly to facilitate the training and emergence of a new set of administrators who would be able to assist in the urgent tasks of governance. However, there is no university as we know it that could have preempted the epochal political, socioeconomic and cultural disruptions that characterized colonialism and the colonial situation. Colonialism dislocated the most fundamental bases of African and Nigerian societies. Decolonization must therefore imply a fundamental restructuring of these societies in a manner that transform their essence. And the university is a singular institution that is essential to decolonization, especially of knowledge and of development. Let us take Nigeria and the singularity of the Amalgamation Policy of 1914. With the amalgamation policy of 1914, Nigeria’s future as a nation was almost irreversibly compromised 46 solid years before the dream of independence materialized at all. Bringing disparate ethnicities and cultural group together under one collective state structure was a good colonial policy with catastrophic postcolonial consequences. Nigeria’s plurality has remained the bane of her development since the Nigerian flag was hoisted on October 1, 1960. Ethnic rivalry and religious tensions have become two significant factors through which underdevelopment has been precipitated and consolidated in Nigeria. What we call the national predicament in Nigeria is simple. It is to see how Nigeria’s various constituencies can be wielded together to fast track national development. How, for instance, can Nigeria be restructure in a manner that takes the sting off the amalgamation policy, and restore a genuinely federal polity that recognizes that its strength lies in its differences. It is molding this human capital into a fighting economic force that will transform Nigeria into a developmental state. Ironically, however, since independence, Nigeria has remained a project — a work in progress—that seems condemned to always trying to achieve nationhood and national development with frustrating results. This is because we have failed, so far, to convert diversity into a development template for growth and progress. Boko Haram, Niger Delta militancy, Fulani herdsmen, corruption, poverty, infrastructural deficit, unemployment, etc. have all a terrible mix of underdevelopment. And it is with the molding of this diversity of people into a detribalized human capital force that immediately tells us about the relevance of the university as a postcolonial higher educational institution. Why is the university crucial for the development profile of ‘developing’ countries? The answer is simple: the university is the source of research and leaning that serves as the recruiting ground for critical ideas about any society. Since the university is located within a specific site, its primary research focuses are constituted by the challenges of that site. Any Nigerian university, for instance, has the whole of Nigerian and her postcolonial plural challenges as the source of research consideration. These research focuses and the ideas generated from them ought to constitute a rich complement for policy programmes. On the other hand, the university is also the source of the human capital that feeds a nation’s development drive. This then means that the state of the university system ought to be one of the utmost policy concerns of the leadership of any state. To therefore designate the University of Ibadan as a postcolonial university is to admit therefore that it cannot just be a university that is defined and excelled at theoretical learning and the proliferation of academic publications. A postcolonial university like the University of Ibadan cannot just be a university in the normal sense of a degree awarding institution that graduate students in vocational and non-vocational studies. Its mandate goes much more beyond that. This is because such a university is already inserted into a context of postcoloniality that has weakened the developmental vitality of any third world nation. In this context therefore, higher education in an underdeveloped state like Nigeria is an integral part of building up institutional strength that would facilitate the rehabilitation of the national project. But, Nigerian universities seem to have lost the sense of the universe in the university. 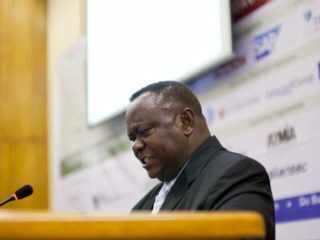 To echo Professor Femi Osofisan’s fundamental thought, we seem to have lost the imperative to humanize. I do not know what the practice is here in UI, but if there is the ethnic HRM game going on anywhere in this hallowed citadel of higher learning, then something is fundamentally wrong with the idea of the university we have. 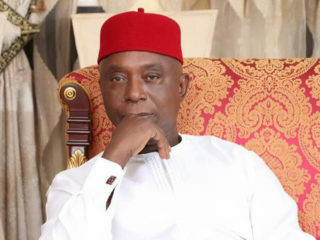 It implies that our capacity to intervene in Nigeria’s national project cannot even commence if we are equally caught in the confusing bubble of ethnic jingoism and religious acrimony that has left the Nigerian state so vitiated and without direction. It therefore stands to reason therefore that the university system and its administration should be the focus of intense reform that will ensure that universities find their rightful place in jumpstarting national development.